Responsive web designs have exploded over the past few years. What are they and how would your business benefit from having one. 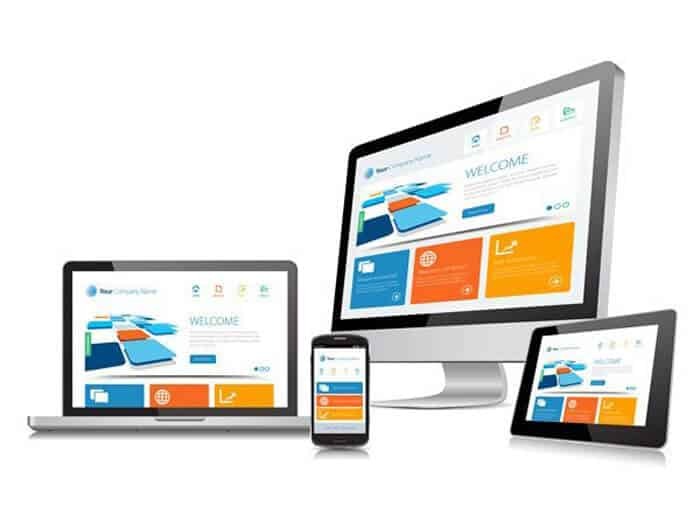 Firstly, just in case you’re not aware of what a responsive web design is, it’s a particular type of web design that responds to the device it’s being viewed upon. Take exposeprofits.com as an example. If you’re reading this article on a smartphone, then you’ll notice the text is big and easy to read and the links are easy to click. If our website wasn’t responsive and we didn’t have a separate mobile site, then you would have to pinch your screen to magnify and read the text. As you can imagine, this can be very annoying and spoils your user experience. Why Do You Need a Responsive Web Design Now? Google continually updates its algorithms; and over recent years, we’ve seen a number of significant developments with the search engine, including Penguin, Panda, Hummingbird and most recently, Pigeon. Each and every update is designed to ensure that well ranked websites offer something of genuine value to the user, and relate well to the search term used. Recently, Google sent out official warnings to webmasters with websites that are not mobile-friendly; alerting them to the fact that they have ‘critical mobile usability errors’. Whilst this may sound a little like techno-jargon, the fundamental message of the warning is easy to grasp. It’s an alarm call, signifying that Google’s ranking system may be due to change once more; and this time, those who don’t yet have a site that is fully operational across all devices are in the firing line. 1. Responsive websites rank higher on mobiles. At present, your site won’t slide down the rankings if it’s not optimised for use on a smart phone or tablet (though this may be subject to change in the near future). However, evidence does seem to suggest that responsive websites currently rank slightly better; indicating that already, the search engine is placing higher value on mobile-friendliness. Put simply, responsive websites are enjoying marginally better rankings, and more importance may be placed on mobile friendly websites in the future. 2. Take it as a warning. As we’ve witnessed many times in the past, Google’s warning often function as an alarm; a pre-emptive message indicating that things are about to change once more. With this in mind, it’s worth preparing yourself for the fact that non-responsive sites may be penalised in the future. How severely is currently anyone’s guess. As a result, we would strongly recommend, if you haven’t done so already, to get your site fully responsive across all mobile devices, or risk losing valuable online visibility in the future. 3. The Internet is changing. The reason Google is placing such importance on having a mobile-friendly site is because the way in which people are accessing the Internet has shifted a lot, and continues to change significantly. Go back a few short years, and most online browsing was conducted via a desktop computer. However, in 2015, people access the Internet in very different ways. Astonishingly, 50% of the searches conducted on Google are now done via a smart phone, tablet or other mobile device. Believe it or not, in the US, an incredible 80% of people use a smart device to surf the net whilst watching TV, and nearly a quarter of all online sales were conducted via a smart device last Christmas. In short, it’s clear to see that browsing habits have changed; and sites need to ensure that they keep up with the shifting trend so they provide the best possible experience for the user, which is ultimately what Google want. 5. Without a responsive site, you’ll potentially lose customers. It’s important to think about how your customers use the Internet. People expect to be able to access information quickly and easily. If your site takes a long time to download, is difficult to read, or complex to navigate on their smart phones and tablets, they’ll simply leave your site and go to a competitor. As you can probably already tell, it should be a high priority to make your site fully responsive. As for how you can achieve this…well, regrettably, there’s no easy way of doing it. You’ll need the expert assistance of a web designer to help you through the process; to ensure that the site functions on optimum, regardless of the device it’s being viewed on. If you’re worried about cost, it’s imperative to view it as a vital progression for your company. Yes, making the change will inevitably involve investing some money into your business, but remember that having a responsive site means more to your company than simply improving your Google rankings. If half of your potential target audience are using their mobile devices to search online for your products or services, it’s crucial they are able to use your website in a way that makes it easy for them to read and absorb the information and more crucially take action and either call your office or buy your product. Having a responsive web design at the core of your digital marketing strategy is a positive step forward your business and one which will not only provide a more enjoyable, less frustrating experience for visitors, but will also bring you a good return on investment in the long term.